South to Louisiana: The Music of the Cajun Bayous, 2nd Edition! John Broven returns to update his comprehensive look into the history of this distinctive style of music. 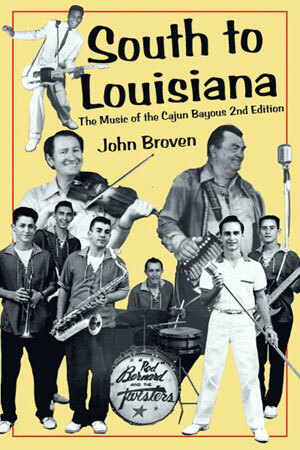 Extensive research, fieldwork, and personal interviews combine to provide a fascinating look into the sounds of South Louisiana from early Cajun and Cajun-Country through zydeco and blues to the Cajun revival. Broven has included a look at the contributions of such legends as Joseph Falcon, whose “Allons a Lafayette” in 1928 was the first Cajun recording; Amede Ardoin; Iry LeJeune; and Nathan Abshire. He also includes modern artists, such as Doug Kershaw, Jimmy C. Newman, and the late Clifton “King” Chenier, who have taken the sounds of Louisiana to the national scene and around the world.